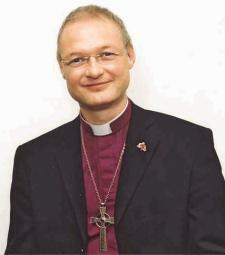 The Venerable Carl Cooper, Archdeacon of Merionydd, was elected by the College of Episcopal Electors as the 127th Bishop of the diocese of Saint David's in succession to Saint David, the Patron Saint of Wales. Bishop Carl's consecration took place in St Woolos Cathedral, Newport, Gwent on 20th April 2002 and the Enthronement in St. David's Cathedral, Pembrokeshire on 11th May 2002. I had read about your initiative in the press and would like to congratulate you and the children on all that you have achieved. Be assured of my full support and encouragement as you seek to promote peace, tolerance and reconciliation among peoples from all backgrounds and traditions. I am very happy to commend its use in our work with children and young people as a church.